The Cultural Arts Events Organizer invites all music lovers to an evening of chamber music slated on February 25, 2012, 8:00 p.m. at the Philamlife Theater, United Nations Ave., Manila. The concert features two (2) of the most beautiful but rarely played chamber music compositions during the Romantic Period – the Anton Arensky’s fiery First Piano Trio in D and the heartwarming Ernest Chausson’s Concerto for Piano, Violin and a String Quartet. 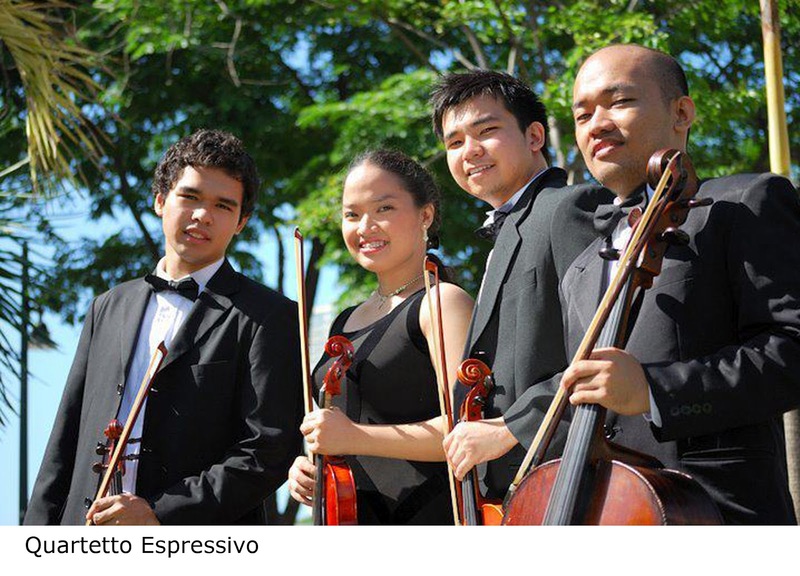 These masterpieces will be performed by seven (7) of the country’s distinguished musicians namely, pianist Mary Anne Espina, violinist Gina Medina, cellist Wilfredo Pasamba and Quartetto Espressivo of the Manila Symphony Orchestra. Known for her “impeccable musicality and sensitivity”, Espina is one of the most sought after chamber musicians in the country today. A 2008 Aliw awardee, Espina continues to team up with outstanding local and international artists in major concert and recital venues in the country. classical music circle. Her commanding musical techniques and precarious abilities never cease to awe her audiences. Pasamba, considered one of the finest Filipino cellists today, is a graduate of Moscow Conservatory of Music. He has performed in all major music centers in the world. Gonzales, cello – all graduates of St. Scholastica’s College of Music. Don’t miss this musical coup. For tickets, please call CAOE at 781-7164 or 0918-347-3027, MCO at 750-0768 or 0920-954-0053 and Ticketworld at 891-9999. This concert is made possible in partnership with Vision Classic, Lyric Piano, BusinessWorld, Nethal Marketing and TIEZA.